Have you ever stopped to look at something and then took a double take to make sure what you saw actually occurred? Our minds can play some really awesome tricks on us and the internet is full of mind-bending optical illusions that amaze and confuse us at the same time. 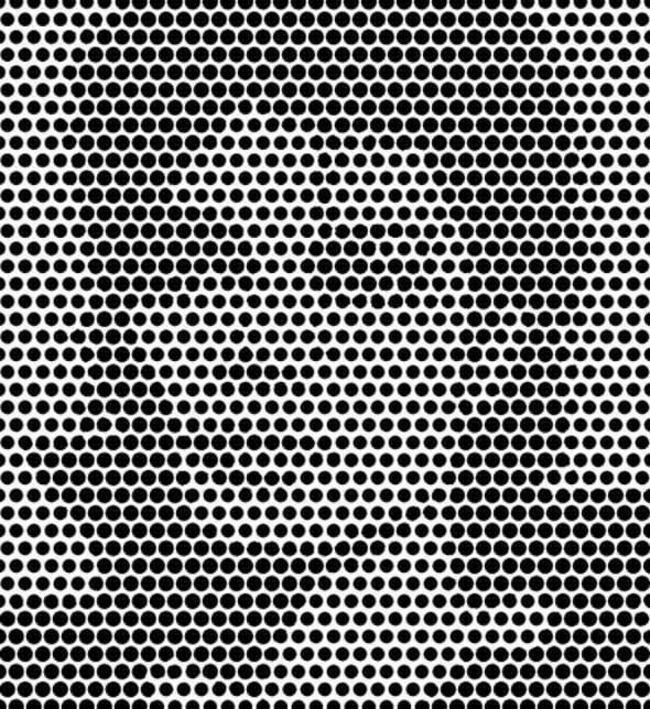 Here are 23 completely amazing optical illusions that will have you questioning your own ability to process visual information. When the timer runs down the imprint of color you were just starting at should remain when the picture fades to black and white. If your mind things an image should have color, it will fill in the blanks for you, but only for a short period of time. There’s a similar effect on these flowers. 2. The black and white dots appear to be turning clockwise, but stare at the red or yellow dot and you’ll see that everything is not as it appears. 3. Where does the space in this triangle come as it shifts? The slope of each triangle is slightly different which creates a hole. 4. Watch this for a minute or two and then look away to get a burned image appear. 5. Cross your eyes and you should be able to see a well-known singer. 6. You probably can’t tell here but the squares marked ‘A’ and ‘B’ are actually the exact same shade of grey. Here’s a replica to prove the graphic shown above. Our brains will adjust color based on surrounding shadows. 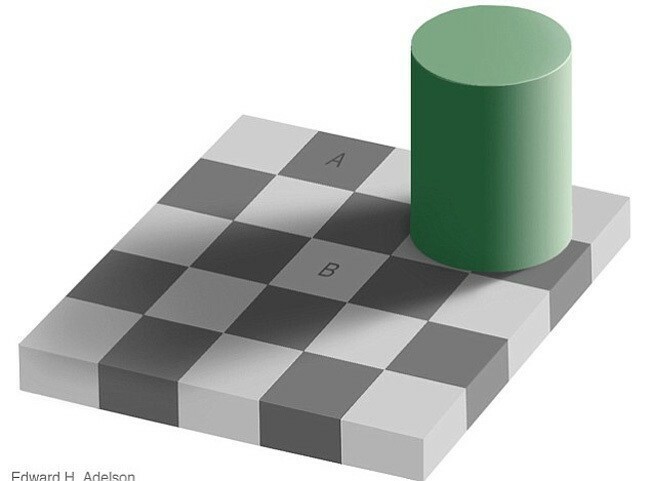 Since B is in the shade of the green cylinder, but is still the same color as A, the brain believes that it’s a lighter shade of grey. 7. Here’s proof that our depth perception can be easily manipulated. 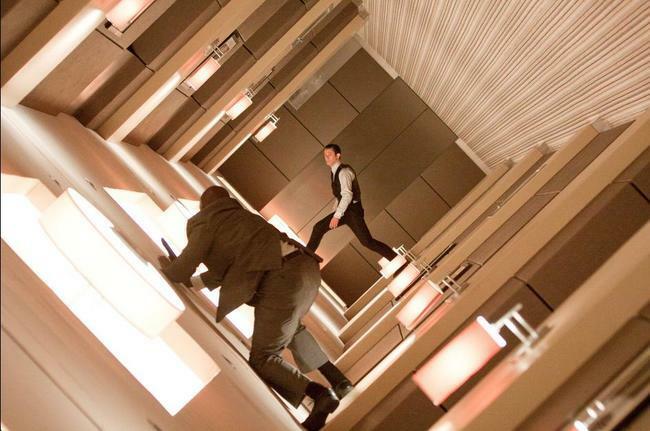 The “Ames Room” illusion is created by slanting the back wall of the room towards the camera and the ceiling downwards. 8. These blocks seem to move one after the other but it’s not true. When the black bars are removed, they travel at the same pace. That’s because the black bar distorts your brain’s perception of movement. 9. Is the middle dancer spinning clockwise or counterclockwise? The answer is both. By staring at either the left or right dancer, you can change the direction the middle dancer spins. 10. 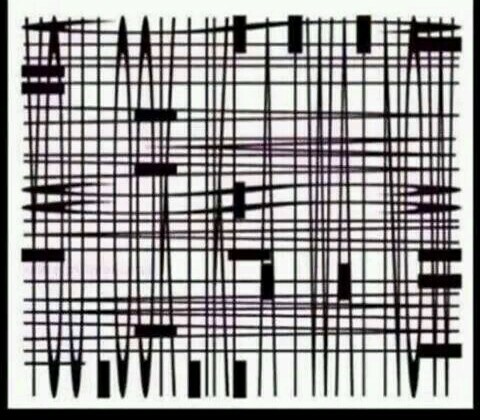 If you’re checkout out this post on a mobile device, close one eye, tilt your phone and look at this image from the charger hole. Now that’s a crazy mind binding optical illusion. 11. Are these horizontal lines sloping or parallel? Stare at them for a few minutes to become totally confused. 12. 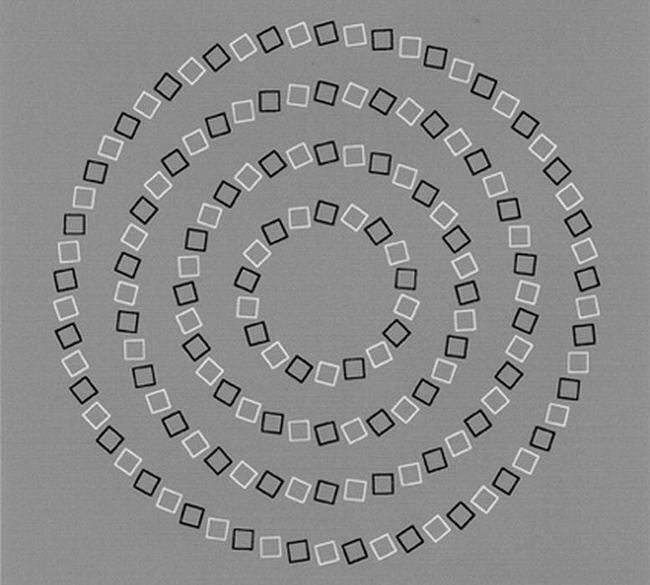 These circles appear to be overlapping but are they? They actually don’t touch at all. 13. What shape is this roof? 14. If you look at this green cube it seems to be bouncing on the inside of the black and white cube, but if you look at the red one you see a convex black and white cube with the red cube bouncing on its outside surface. 15. Keep your eye on the cross and these celebrities will switch faces. They’re not actually switching faces. By aligning the faces at the eyes and presenting them quickly, it becomes much easier to compare them, so the differences between the faces are more extreme. 16. 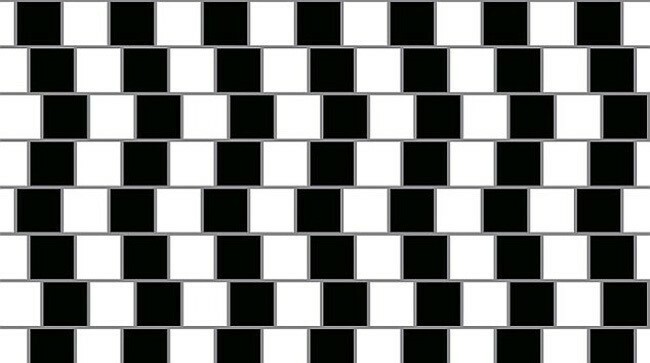 Adding crosses to this checkerboard warps the straight lines. 17. These squares are the exact same color. Hold your finger over the boundary between the two shapes and see them change. 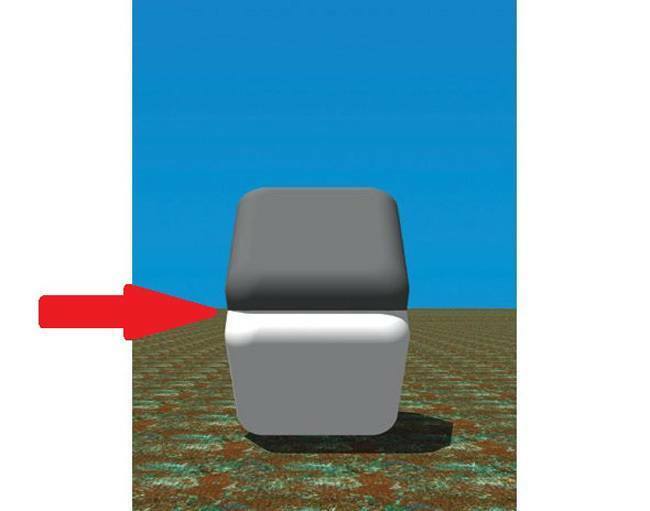 This is known as the Cornsweet illusion and it exploits the brain’s lateral inhibition, which creates more contrast between the two objects when they have different colored edges. 18. 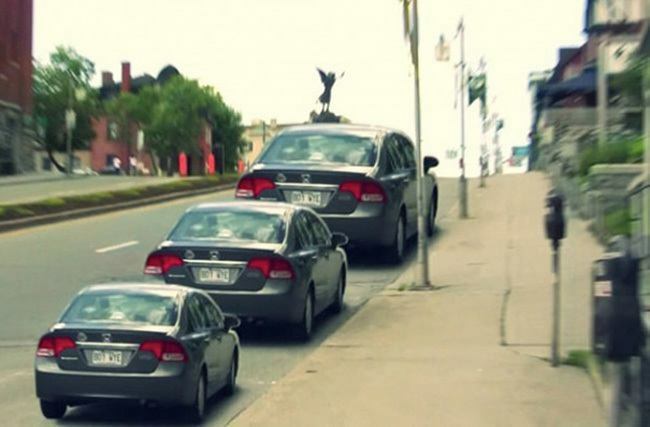 These cars are all the same size. The Ponzo illusion works because our brain judges an object’s size based its perceived distance. 19. 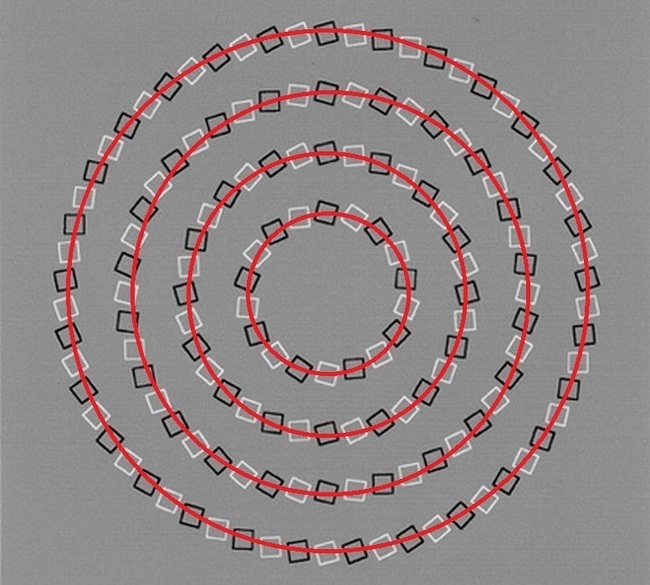 These dots appear to change color and orbit the center. But focus on a single dot and they’re just bouncing on the spot. 20. Stare at the cross in the center and watch the blank spot. It will turn green. 21. 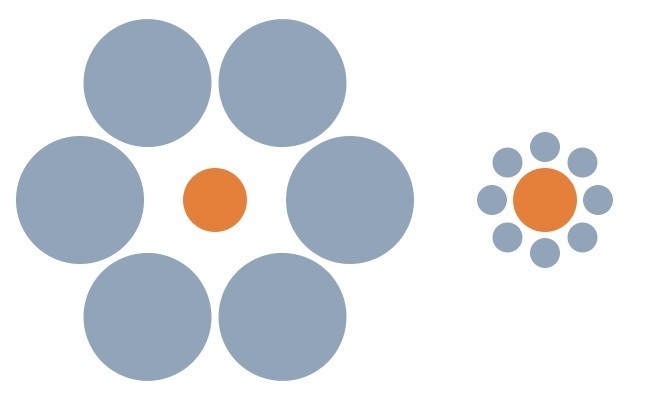 Which orange circle looks bigger? They are actually the same size. Here’s proof. The Ebbinghaus illusion exploits our perception of relative size. When an object is surrounded by larger objects, it seems far smaller than it actually is. 22. Look at this swirling for 30 seconds and then look at the photo from the movie Inception below. 23. Cover the sides of the hallway with your hands and the animation speeds down, cover the middle and the animation speeds up. Remember the next time you are looking at something that doesn’t make sense that optical illusions are really good at fooling our brains.